From a young age John Korrey new that he wanted to be an auctioneer. Traveling with his father every week to various livestock auctions when his dad would sell the produce that he raised on their farm and ranch, Johns attention would be on the auctioneer, he practiced and then went to auction school at Reisch Auction School. John wanted to pass on some of his experience in the auction profession and his hope is to pass on tips to everyone from the beginning auctioneer to the seasoned ones. All in effort in making the auction profession better. 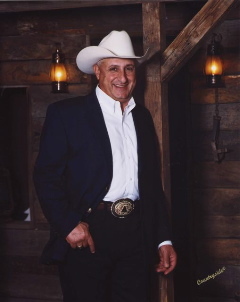 John has had the opportunity to travel to over 35 states and 4 foreign countries auctioneering livestock, equipment, and many charity events. John counts his blessings every day to be in a profession that he truly loves, with many great people and friends that he has met as a result.